Not all mathematics discussions are alike. It's one thing to ask students to share how they solved a problem, to get ideas out on the table so that their thinking becomes visible; but knowing what to do with students' ideas—where to go with them—can be a daunting task. Intentional Talk provides teachers with a framework for planning and facilitating purposeful mathematics discussions that enrich and deepen student learning. Not all mathematics discussions are alike. It's one thing to ask students to share how they solved a problem, to get ideas out on the table so that their thinking becomes visible; but knowing what to do with students' ideas—where to go with them—can be a daunting task. 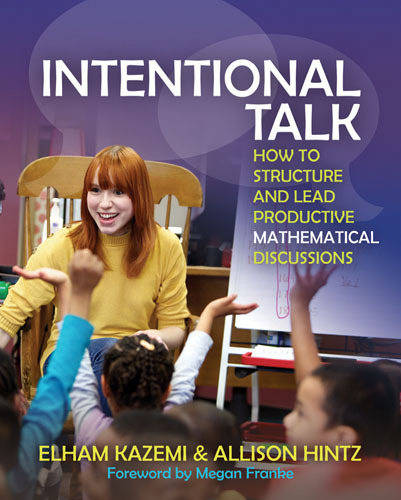 Intentional Talk provides teachers with a framework for planning and facilitating purposeful mathematics discussions that enrich and deepen student learning. According to Elham Kazemi and Allison Hintz, the critical first step is to identify a discussion's goal and then understand how to structure and facilitate the conversation to meet that goal. 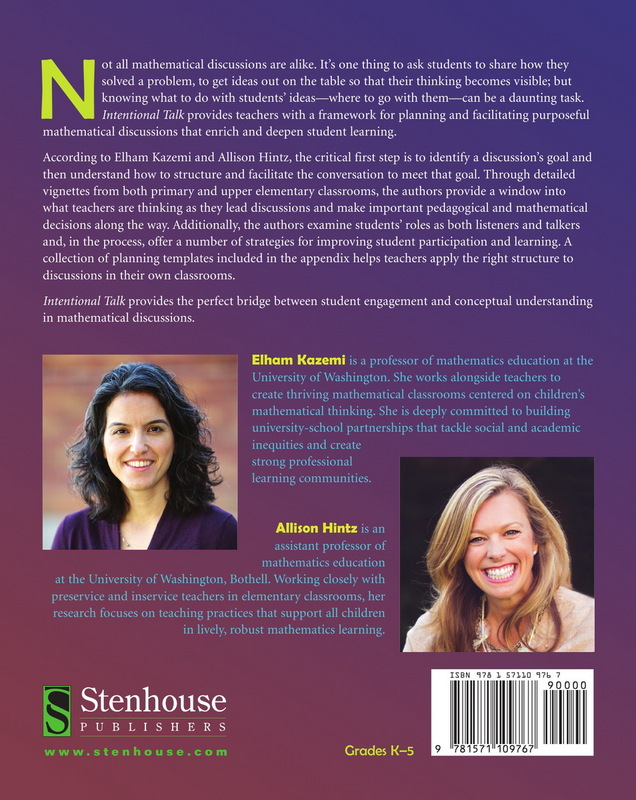 Through detailed vignettes from both primary and upper elementary classrooms, the authors provide a window into what teachers are thinking as they lead discussions and make important pedagogical and mathematical decisions along the way. Additionally, the authors examine students' roles as both listeners and talkers and, in the process, offer a number of strategies for improving student participation and learning. A collection of planning templates included in the appendix helps teachers apply the right structure to discussions in their own classrooms. Allison Hintz is an assistant professor of mathematics education at the University of Washington Bothell.